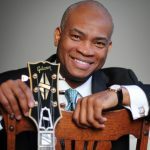 The Vermont Jazz Center welcomes guitarist Russell Malone to its stage on March 16th. 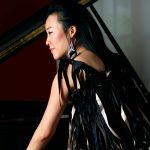 He will appear with his established quartet including pianist Rick Germanson, bassist Luke Sellick and drummer Anwar Marshall. Perhaps best known for his Grammy nominated work with vocalist Diana Krall, Malone is one of the leading guitarists on the jazz scene today. 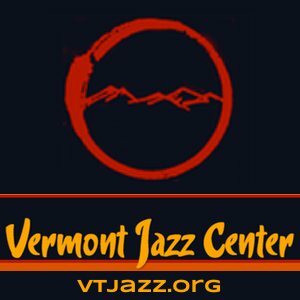 The Vermont Jazz Center is excited to present its first annual Emerging Artists Festival on Friday evening, November 2nd in downtown Brattleboro during Gallery Walk and all day Saturday, November 3rd at the Vermont Jazz Center. This event is in collaboration with area schools and colleges, the Boys and Girls Club, Strolling of the Heifers, BrattRock, Youth Services, Gallery Walk and the Downtown Brattleboro Alliance. 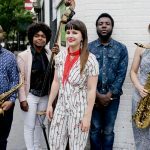 The VJC’s goal is to use this annual Emerging Artists Festival to cultivate a greater interest and deeper knowledge of jazz amongst younger audiences, to connect with our region’s youth and ultimately boost their attendance throughout the year. As a participatory event, VJC’s Emerging Artist Festival will break down barriers to accessing the arts, especially for the region’s young people. 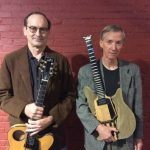 On Sunday, September 23, Stage 33 Live in conjunction with Black Sheep Radio presents an afternoon of world-class jazz, including a workshop and concert, with guitarists Draa Hobbs and John Stowell. The event takes place at Stage 33 Live at 33 Bridge Street in Bellows Falls, and ticket sales benefit the venue and the radio station, two non-profit community arts organizations serving the greater Bellows Falls area. The Vermont Jazz Center is excited to lift off its 2018-19 concert season on Saturday September 15th with Trinidadian trumpeter, composer and percussionist, Etienne Charles. He will be flying in from Michigan to perform with his band Creole Soul. 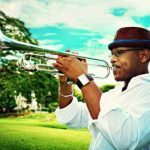 Creole Soul is one the many projects that Etienne Charles uses to investigate and perform music that aligns with his Caribbean heritage. He uses this ensemble as a musical laboratory to mesh the roots music of indigenous cultures with the language and arrangements of jazz. Etienne has traveled the world, seeking connections and differences between the rhythms and forms of Caribbean folkloric music. 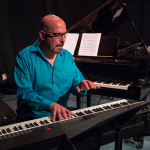 The Vermont Jazz Center presents Eugene Uman’s Convergence Project on June 9th at 8:00 PM. The Director of the VJC, Uman and uses the Convergence Project as vehicle to present his original compositions and music that has influenced him – it includes Wanda Houston (vocals), Michael Zsoldos, saxophones; Jeff Galindo, trombone; Uman, piano; David Picchi, bass (electric and acoustic) and Jon Fisher on drums. There will also be surprise musical guests performing at this event. After many musically formative years in Colombia, South America, Uman became drawn to blending the many rhythms of the country, such as cumbia, bambuco and pasillo, with jazz harmonies. While living in Antioquia, the Big Band of Medellín commissioned Uman to write for their 20-piece orchestra, resulting in Blues para Urabá.